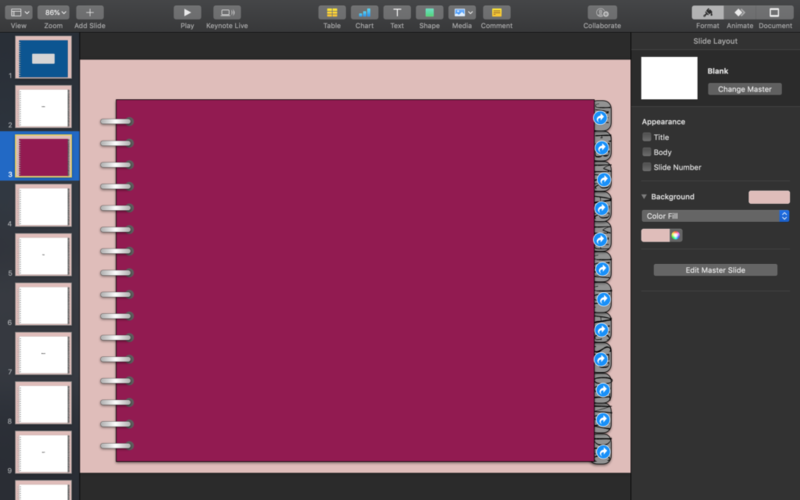 The first thing I want to do is go through the slides I have and quickly label them (this will be deleted later, so no need to choose a fancy font or anything). 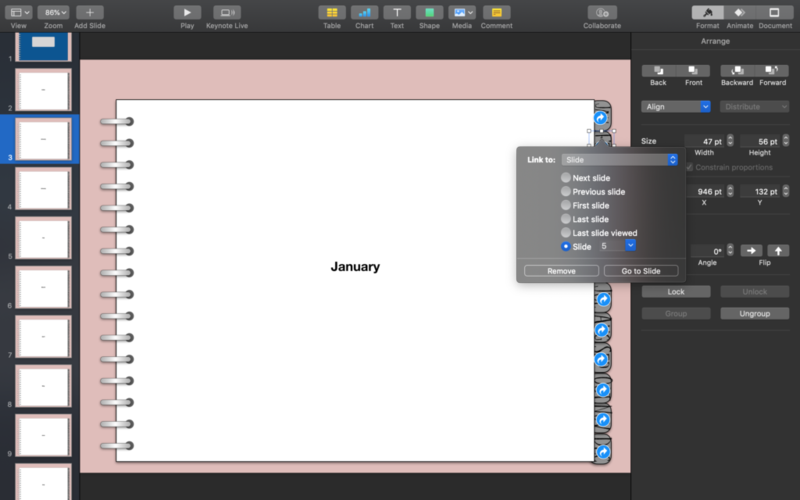 You do this so that you can keep everything straight when you start adding in more slides. The slides I am labelling are slides that are linked to – for example, my tab that says June will link to this slide that is labelled June. 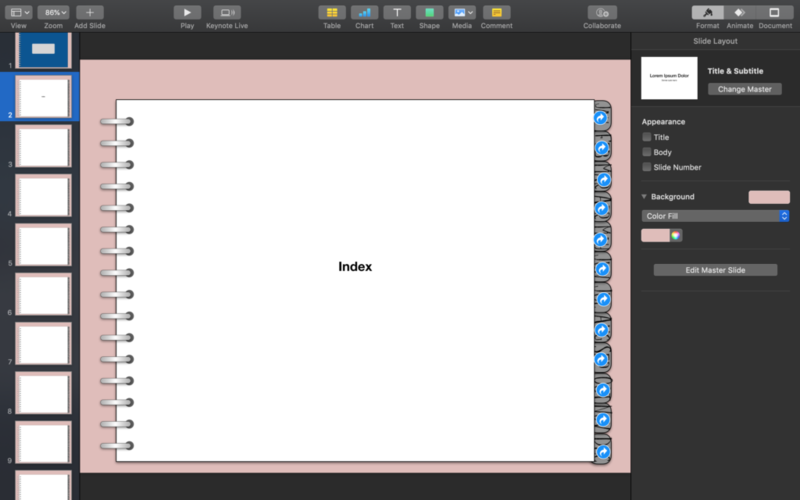 One important thing to note: when you start adding more slides it WILL NOT mess up the links you’ve created! The links are to a specific slide, so when you add more slides the link numbers will automatically adjust to still direct to the correct slide. Next –> Copy & Paste! 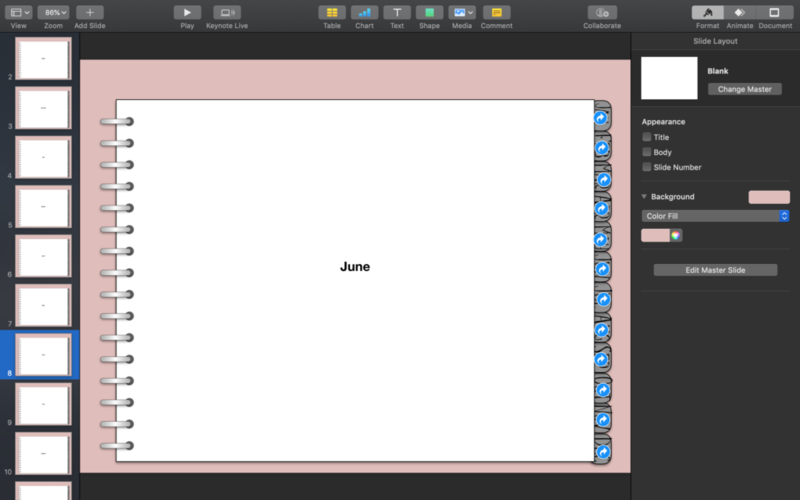 I’ve now copied a blank slide under each monthly slide – and I want to turn those monthly labelled slides (the ones that have links going to them) – into a divider. To do this I am simply going to change the colour of the page from white, but there are so many possibilities! 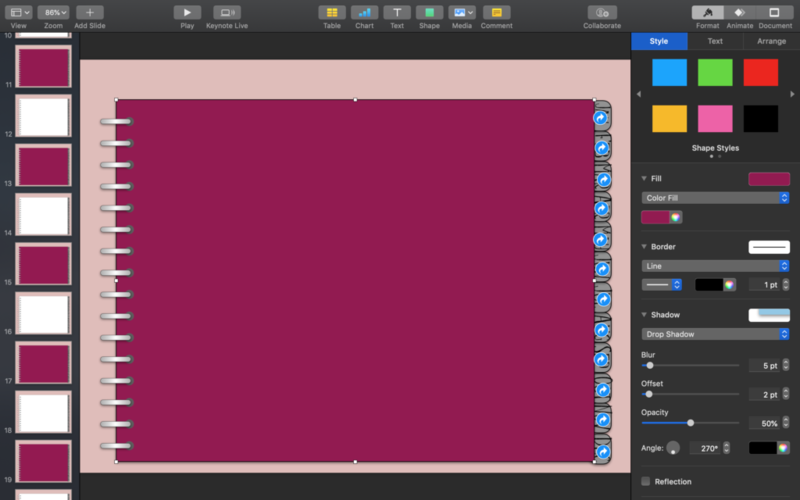 You could insert an image, fill it with a pattern, or really do anything you want. Viola! I now have a divider for each month and an additional page in between. Obviously, I will be wanting more than one page a month but for the purpose of this tutorial, I only added one. 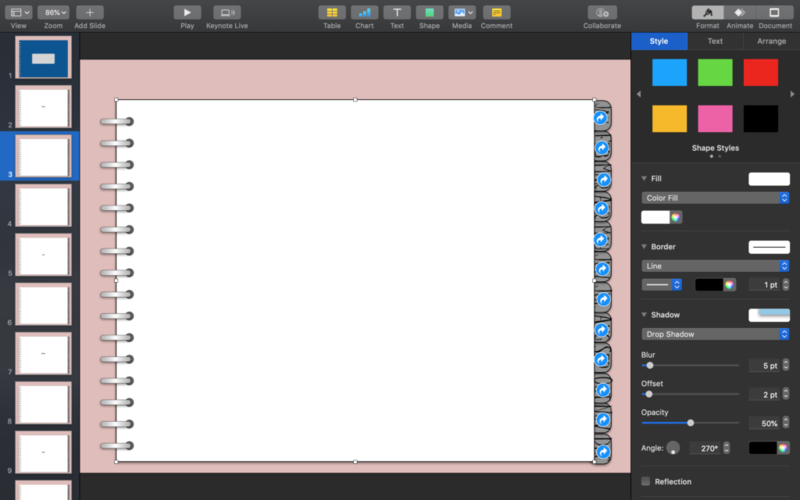 I will also note that if you are going to be exporting your planner into a program like Goodnotes on your iPad, you can add extra pages in then and your links will still work. I’ll be walking through that in the final part of this series. 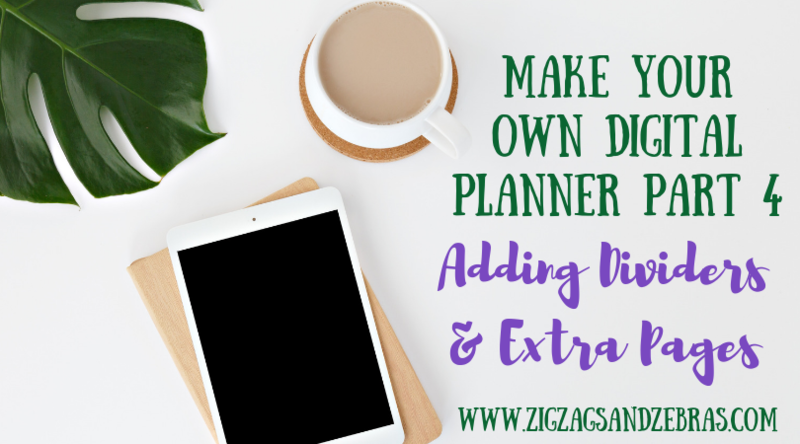 Now you should have your dividers and pages added to your planner! If you have any questions please ask down below. 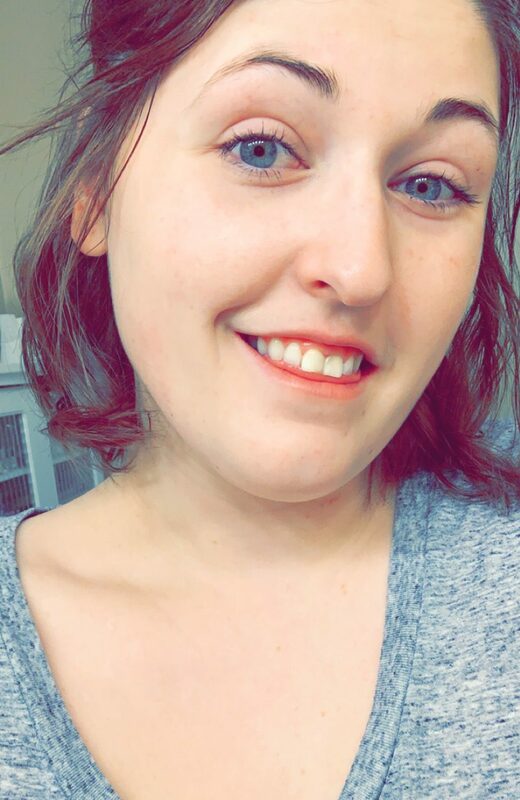 🙂 I will see you shortly in part 5! Hi Ana! I apologize! 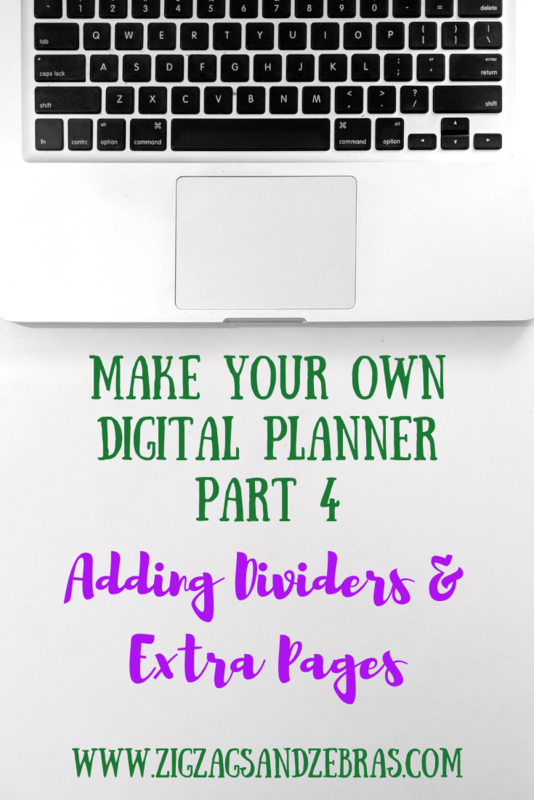 Exporting your digital planner is out, I just forgot to update the original post! If you head to the digital planning section of the site you will find it. 🙂 Goodnotes just released Goodnotes 5 so I am waiting for the hiccups and initial issues to fade away and then I will be adding the final part about actually using your planner in that app. I anticipate that post to go live in February. 🙂 Please let me know if you have any specific questions and I will try my best to help!